Associate Professor of Jewish Studies with joint appointment to the Department of Languages, Linguistics and Comparative Literature. 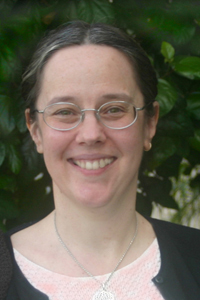 Dr. Kris Lindbeck is an Associate Professor of Jewish Studies at Florida Atlantic University. Her interest in Jewish studies began during four months spent in Jerusalem when she was eighteen years old. She earned her masters in Talmud and Rabbinics from Jewish Theological Seminary in 1989, followed in 1999 by a doctorate in Ancient Judaism, covering 500 BCE -700 to CE, with a minor topic exam in early Christian literature. In 1999-2000 she returned to Jerusalem as a Lady Davis Postdoctoral Fellow at the Hebrew University, and then taught as a visiting professor at Trinity in San Antonio and Tulane University in New Orleans before coming to FAU. From 1998-2003 she was on the Executive Board, National Society for Scriptural Reasoning, an academic society devoted to scriptural study and "trilogue" among Jews, Christians and Muslims. Her book Elijah and the Rabbis: Story and Theology , published in 2010 by Columbia University Press, analyzes Elijah Legends from the Rabbinic period to the 20th Century. She has a book contract Gorgias Press for a work on the interpretation of the Binding of Isaac in Genesis Rabbah, a Fourth Century Midrash. At Florida Atlantic University, Dr. Lindbeck teaches Classical Jewish Civilization, Jewish Wisdom, Jewish Literature through the Centuries, Women and Judaism, Readings in Biblical Hebrew, and a historical course on the New Testament.